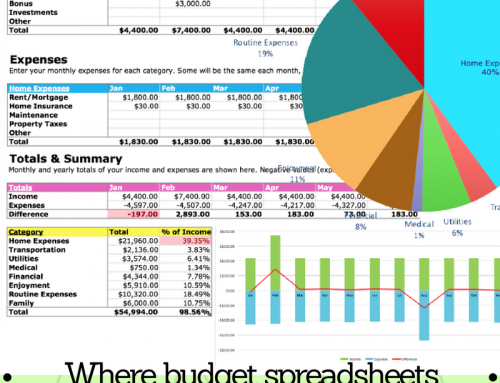 Track your medical bills with the Medical Expenses Spreadsheet is part of a financial planning series called How to Make a Budget: Easy Steps for Beginners. 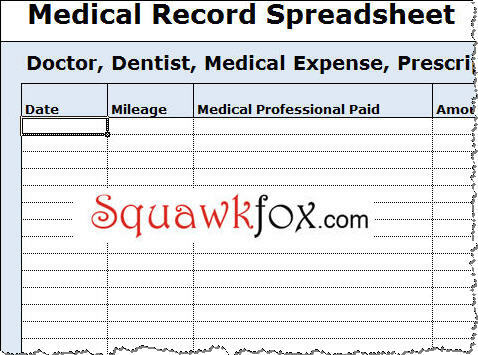 Answer: If you need to track medical bills or medical expenses, go ahead and download the Medical Expenses Spreadsheet. 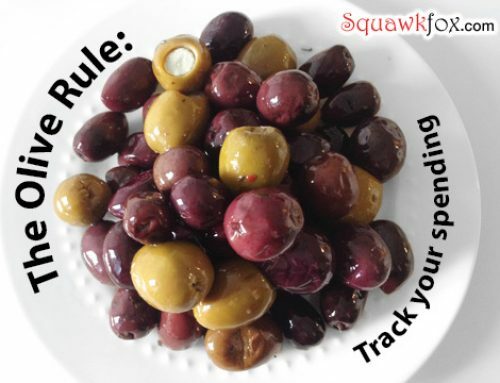 Over the years I’ve used it to track various doctor, dentist, optometrist, and physiotherapy costs, and a few non-traditional health care costs as well (acupuncture, anyone?). 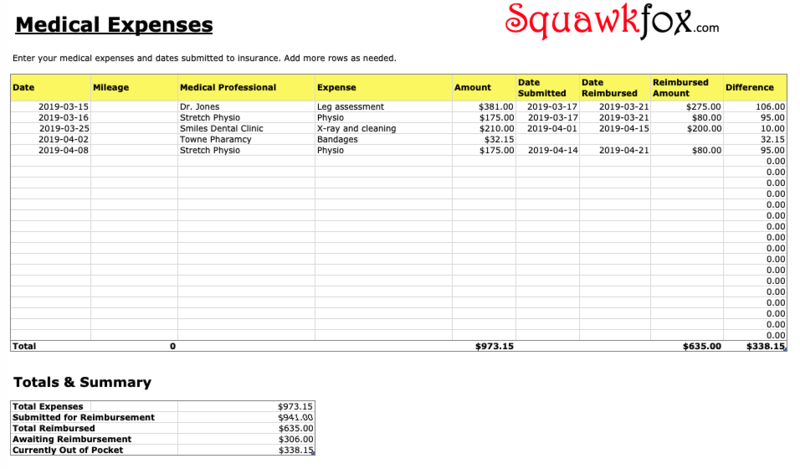 Anyhoo, if you have prescriptions, lab tests, glasses, and other related medical expenses, indicate those costs in the Medical Professional Paid column. 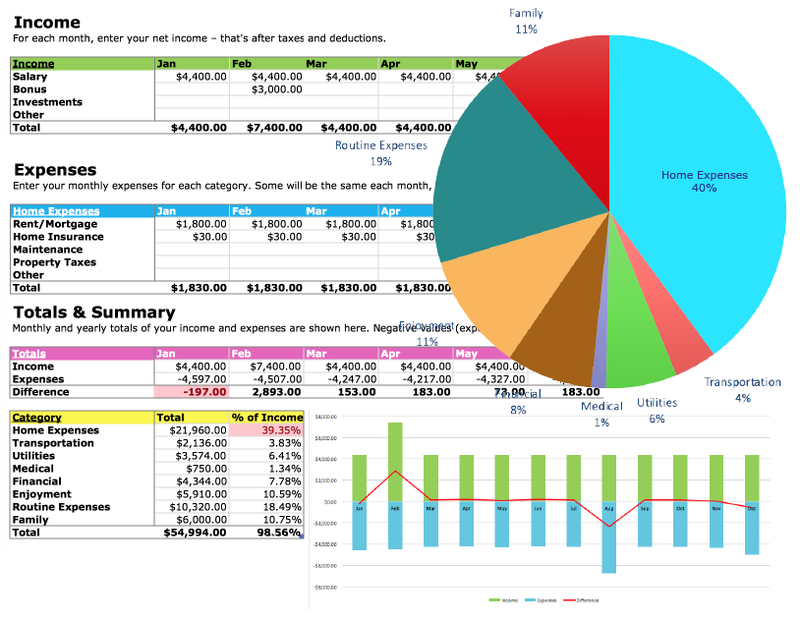 This spreadsheet is just a starting point — a guideline of sorts — so feel free to add columns or change headings so they work for you and your family. And if you’re not a fan of spreadsheets, print out this download and use it as a simple medical record form. Easy. I added a column for Mileage, just in case it’s a tax-deductible expense in your neck of the woods. The columns Date Submitted and Insurance Reimbursement are for families paying medical bills before submitting claims or paying the differences not covered by insurance and needing to keep this information separate. For those looking for the original version, here you go! 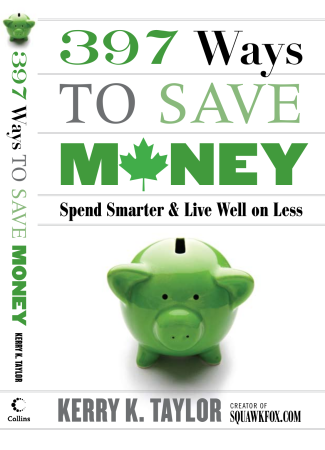 Keep all your receipts in a safe spot and during tax time this spreadsheet should help you save a lot of time. I know it helped me when I needed knee surgery. Cheers, Kerry. 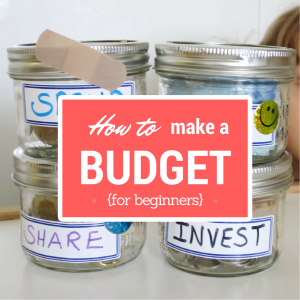 Get the series, How to Make a Budget: Easy Steps for Beginners, for more free tools, tips, and downloads. I think a lot of people can use this or customize it for their own use. I know for our clinic that patients have a tough time keeping track of what they’re spending or how much they might be able to claim on their income tax or through insurance. 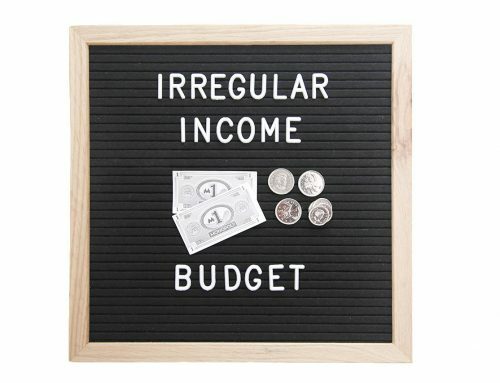 this seems similar to a regular budget spreadsheet, i think these are a simple and great way to keep track of your expenses. You’re so sweet to share this! I am so thankful to have found this. It is helpful as I apply for my disability thank you! • Simplicity (despite what I said above). Don’t try to be all things to all people — one size does not fit all. 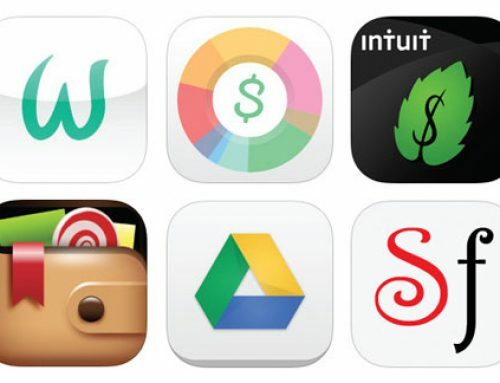 Cut out the functionality you don’t want so it doesn’t confuse the functionality you do want. • Flexibility. The reason we need help tracking medical expenses in the first place is because they’re so complicated—there are so many variables. You couldn’t possibly create a system to cover all the aberrations. Give the end user maximum flexibility to record a medical expense transaction the way he or she wishes to record it and leave an audit trail. Allow plenty of capacity for a user to make notes to him/herself. •. Other medical. You’re the first person out of all those high-falutin’ commercial apps to say the word “mileage.” All the user needs is a field to enter a short number to and you gave it to him(!) If you don’t see a place to enter it, you’re likely to forget about it. Then there’s parking, other transportation (trains, planes, buses, taxis), the unfortunate parent who rents a motel room to be near his or her child in a hospital in another city, associated mealsi, tips & incidentals, and more. 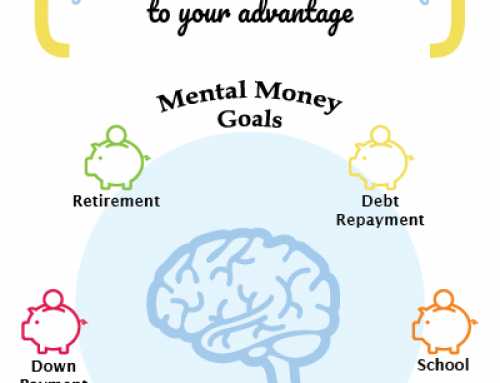 It can add up and be a significant part of the total, depending on the situation. Heck, in San Francisco I can rack up $1,000/yr in medical parking alone, easily. So, best of luck with your project. I hope to see improved functionality every year.